After referencing the standard statistics on the booming prison population (at least that point isn't in debate!) Bibas argues "Liberals ... the NAACP ... Obama ... liberal criminologists ... lawyers ... Michelle Alexander" blame these trends on "racism and the 'War on Drugs,' in particular long sentences for nonviolent drug crimes." Bibas, however, says this "well-known narrative" doesn't "fit the facts." Prison growth has been driven mainly by violent and property crime, not drugs. As Fordham law professor John Pfaff has shown, more than half of the extra prisoners added in the 1980s, 1990s, and 2000s were imprisoned for violent crimes; two thirds were in for violent or property crimes. Only about a fifth of prison inmates are incarcerated for drug offenses, and only a sliver of those are in for marijuana. Moreover, many of these incarcerated drug offenders have prior convictions for violent crimes. The median state prisoner serves roughly two years before being released; three quarters are released within roughly six years. For the last several decades, arrest rates as a percentage of crimes — including drug arrests — have been basically flat, as have sentence lengths. ... arrests are far more likely to result in felony charges: Twenty years ago, only three eighths of arrests resulted in felony charges, but today more than half do. Over the past few decades, prosecutors have grown tougher and more consistent ... 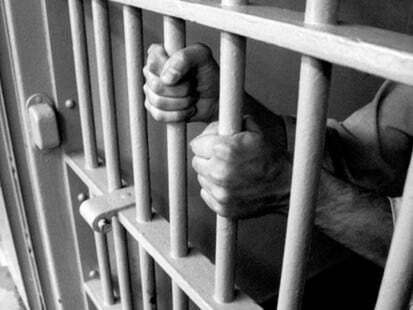 Most prisoners are guilty of violent or property crimes that no orderly society can excuse. Even those convicted of drug crimes have often been implicated in violence, as well as promoting addiction that destroys neighborhoods and lives. ...stressed that any of us could have committed such crimes, and we all needed to steel ourselves against the same temptations; the message was “There but for the grace of God go I.” The point of criminal punishment was to condemn the wrong, humble the wrongdoer, induce him to make amends and learn his lesson, and then welcome him back as a brother in Christ. Then, two centuries ago, there was a shift "from shaming and corporal punishments to imprisonment." This, in turn, "made punishment an enduring status." ... instead of having to learn vocational skills, [prisoners] have too much free time to hone criminal skills and connections. And instead of removing wrongdoers from criminogenic environments, prison clusters together neophytes and experienced recidivists, breeding gangs, criminal networks, and more crime. Prison, as it turns out, isn't even much of a deterrent, because deterrence assumes a degree of "foresight and self-discipline" and criminals often are "impulsively satisfying their immediate desires." Most of all, the government needs to work on reweaving the frayed but still extant fabric of criminals’ families and communities. Both excessive crime and excessive punishment rend communal bonds, further atomizing society ... The cornerstone of a conservative criminal-justice agenda should be strengthening families. More than half of America’s inmates have minor children, more than 1.7 million in all; most of these inmates were living with minor children right before their arrest or incarceration. Inmates should meet with their families often. They should be incarcerated as close to home as possible, not deliberately sent to the other end of the state. Visitation rules and hours need to be eased, and extortionate collect-call telephone rates should come down to actual cost. The piece ends by recommending that prison-based programs "encourage wrongdoers to meet with their victims if the victims are willing, to listen to their stories, apologize, and seek their forgiveness." It argues "work" should be a component of punishment because "it is madness that prisoners spend years in state-sponsored idleness punctuated by sporadic brutality." We should, instead, repeal Depression-era protectionist laws and "require payment of prevailing-wage rates to prisoners" and require that "able-bodied prisoners should have to complete their educations and work, learning good work habits as well as marketable skills" (if not enlist in the military). See full piece here.